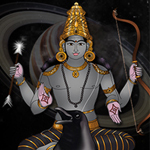 Saturn, the karmic planet will be going retrograde in Sagittarius on April 30, 2019 (IST) and will be in retrograde motion until September 18, 2019 (IST). 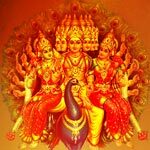 As per Vedic texts, Saturn, a malefic planet by nature, going into retrogression makes it strong in bestowing favorable results. During this retrogression, Saturn can help you refocus and complete your long-pending projects. 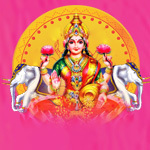 According to the yogis and siddhas, idolatry is an advanced technology to incarnate a divine being on the earth plane. Special ceremonies called “prana pratistha” are used to give prana, or life to the statue. 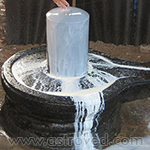 Once the statue is brought to life, it is easy to receive the energy from the being and also communicate with him or her. 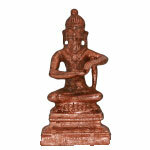 In essence, the statue acts as a medium for the divine being to interact with you. Without such a medium, it is said to be very difficult to establish a connection. The Most Evolved Spiritual Technique Found in Ancient Traditions All Over the World. Your intentions and prayers will be magnified by the participation and prayer of fellow group fire lab members. The new Pillai Center Community Gatherings are your opportunity to meet other students of Dr. Baskaran Pillai in your local area to meditate, discuss Dr. Pillai’s teachings, and experience miracles together. This includes initiation into a 3-step formula designed to help you manifest abundance with the sounds Shreem Brzee, the ultimate abundance manifesting mantra. In addition, every member also receives ongoing, advanced manifestation training every month to help further enhance their creative power. Just as modern doctors have created different medications to heal different kinds of sickness, the Ancient Seers have created different remedies to nullify different kinds of karma. Immediate relief from karmic suffering can be achieved by using the “emergency clinic” of spiritual technology. 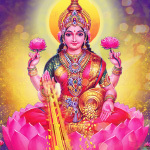 To help you invite money blessings in 2019, Dr. Pillai is recommending an exclusive Fire Lab to invoke Kubera, the banker of Heaven on the most auspicious time- the Ekadasi (11th Waxing Moon), the powerful day filled with the energy to create material and spiritual gains. 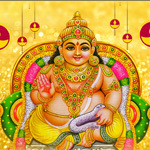 Be a part of Grand Ekadasi Kubera Fire Lab, which will be performed on the prosperous Ekadasi day to invoke Kubera, the banker of heaven for money blessings and to ask for financial growth and fortune in 2019. Each month, there are powerful moon phase days that can help you manifest your monthly goals.Become aligned with the energies of the day to receive the blessings and benefits of each deity of the day. Our new monthly “Recreate Your Life” Program gives you Divine support to make changes in one important area of your life in 1 month. The monthly transit of the Sun through each of the 12 zodiac signs empowers life transformation in 12 key aspects of life.From May 15th to Jun. 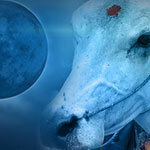 14th, the Sun will be in the zodiac sign Taurus which represents finance and family. This month is ideal for boosting your finances and establishing harmonious relationships with your loved ones. 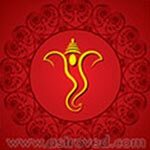 Pillai Center Royal Financial Karma Solutions Program comprehensively targets resolving bad financial karma through yearlong monthly rituals to remove your old financial karma and create a new financial future. 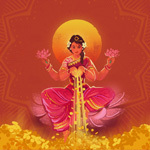 Our intensive financial karma-clearing yearlong program has been revised with new and enhanced rituals targeted to help you change your fortune and attract financial success. 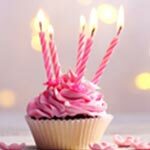 Get ready to remove negative Karma on your Birthday with some great divine techniques. You are special for us and we would like to honor and empower you on your Birthday.The birthday rituals package will invoke these blessings for your success to negotiate the world, both on a spiritual and a material level. With consistent use, this mantra can destroy all forms of scarcity from your consciousness. Chanting the Shreem Brzee mantra regularly can shift your vibration to that of wealth, beauty, and complete inner and outer abundance. Love is life and creation. Love sustains life. With love, you can create beautiful and fulfilling relationships. You have come into the earth plane to experience relationships. You manifest your relationship karma in this lifetime. The positive dynamic power of loving relationships, great partnerships and committed gatherings are some of the most memorable and happiest moments in life. When relationships are beneficial, they can bring about great social change, new creations, new families, thriving businesses and lasting happiness. With Dr. Pillai’s guidance and our member support, we have successfully installed 4 statues of Shri Shirdi Sai Baba on his 100th MahaSamadhi day and Vijayadasami (Day of Victory). 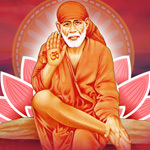 We invite you to donate as a sponsor for the maintenance of our Shirdi Sai Baba statues to have your name and birth star included in ongoing Poojas and Abishekams (Hydration Pooja) on Mondays and Thursdays to invoke the continual blessings and protection of our 4 special Shirdi Sai Babas. Dr. Pillai recommends worship of Muruga at Thiruchendur to remove these negative karmas from Svadhisthana chakra. Under his guidance, for the first time, AstroVed will be offering a unique program of ongoing Vedic rituals for Spiritual Warrior Muruga to deeply cleanse your worst karma and remove all kinds of negativity. 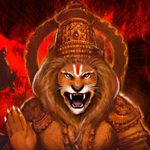 This newly designed program of yearlong rituals helps you to connect with Muruga on a weekly basis during his power times to access his warrior energy to defeat negative and unhealthy karmas and receive his protective blessings. ‘Gho Dhaanam’ means donation of cow. Although there are several forms of donation, donating a cow is considered the most supreme and sacred form of donation that one can do in a lifetime. According to ancient texts, donating a cow can liberate you and your ancestors from sins committed knowingly or unknowingly during one’s lifetime. 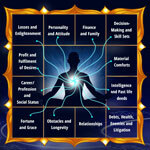 Pillai Center has upgraded its powerful ‘Recreate 12 Aspects of Your Life’ one-year program with additional and even more effective targeted remedies to recreate 12 key areas of your life represented by the 12 houses in your birth chart. These new and powerful monthly remedies were selected to clear karmic issues impacting every area of life and help you gain divine blessings from archetypes who can help you recreate these important aspects of your life. Wealth and fortune depend on luck. Most people struggle financially. Only a fortunate few achieve their full financial potential. 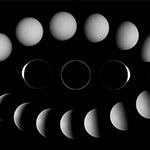 Astrologically, all financial potential can be traced back to planetary combinations at birth, as well as the present. Planetary combinations spell success or failure. 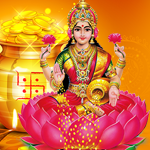 Financial Astrology, a specialized application of Vedic astrology deals with financial issues over an individual’s lifetime. It can help you gain insights into your finances, clear away obstacles to income and attract more opportunities to fulfill your financial potential for yourself and your family. Tarpanam is the essential ritual to resolve every kind of problem, and it is the greatest act you can do to help liberate your ancestors and help free your children from problems created by negative ancestral influences. 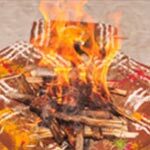 AstroVed has upgraded its 1-Year Tarpanam Program with 4 great Powerspots decreed by scriptures as most powerful for offering ancestral rituals. This one of its kind 1-Year comprehensive program with 44 Tarpanam offerings and 36 ..